New Zealand Falcon (Falco novaeseelandiae; Falconidae) flying and landing at high speed. Karearea. NZ Native threatened bird species, New Zealand (NZ) stock photo image from New Zealand (NZ). New Zealand Falcon (Falco novaeseelandiae; Falconidae) flying and landing at high speed. Karearea. 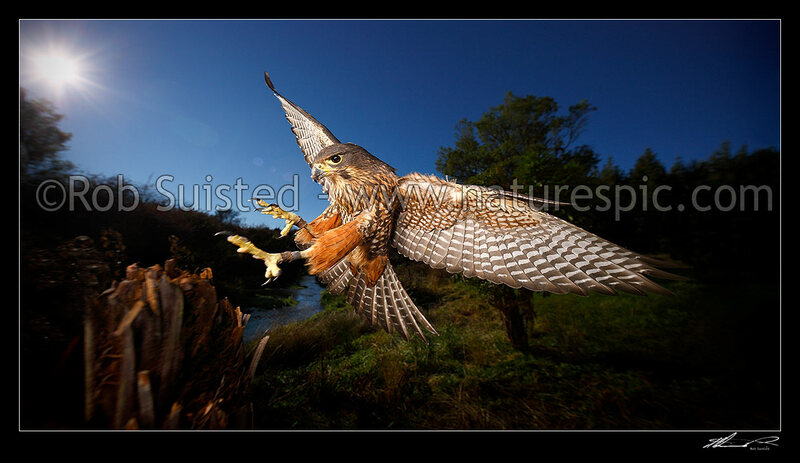 NZ Native threatened bird species, New Zealand (NZ) stock photo image (Picture ID #: 39582CE00).